CardMonkey's Paper Jungle: Fantastic Fairy Cut: Expand Your Design and Cutting Capabilities Easily! AND Here is A Chance to WIN the program! 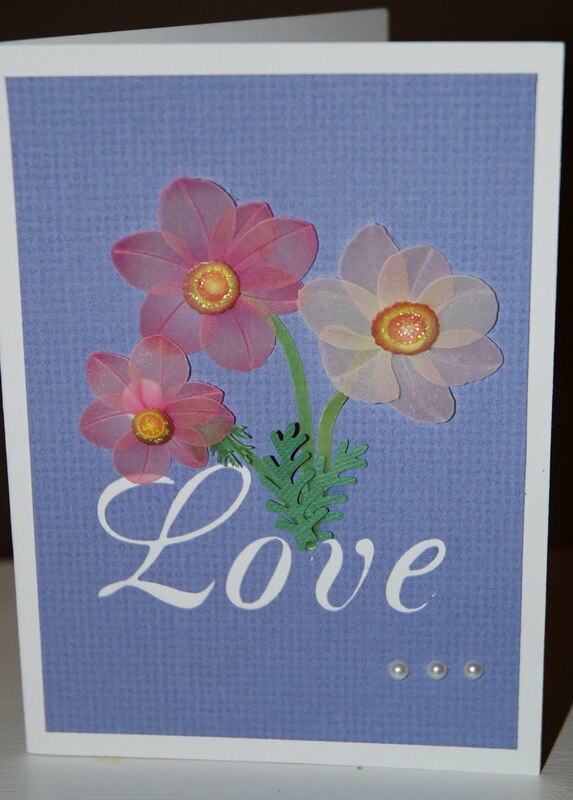 Fantastic Fairy Cut: Expand Your Design and Cutting Capabilities Easily! AND Here is A Chance to WIN the program! If you have been using a Cricut and have just basic knowledge of your computer (which I assume you do, since you are reading this blog! ), you may be ready to venture into the world of creating your own images to cut using your electronic cutting machine. By using some of the available software products with your Cricut, you are no longer limited to the images only available on cartridges. You won't have to buy any cartridges other than the first one that came with your machine. And once you learn the software, and link your computer by cable to your Cricut instead of (or in addition to) your printer, your scrapbooking cuts are limited only by your imagination and your time. 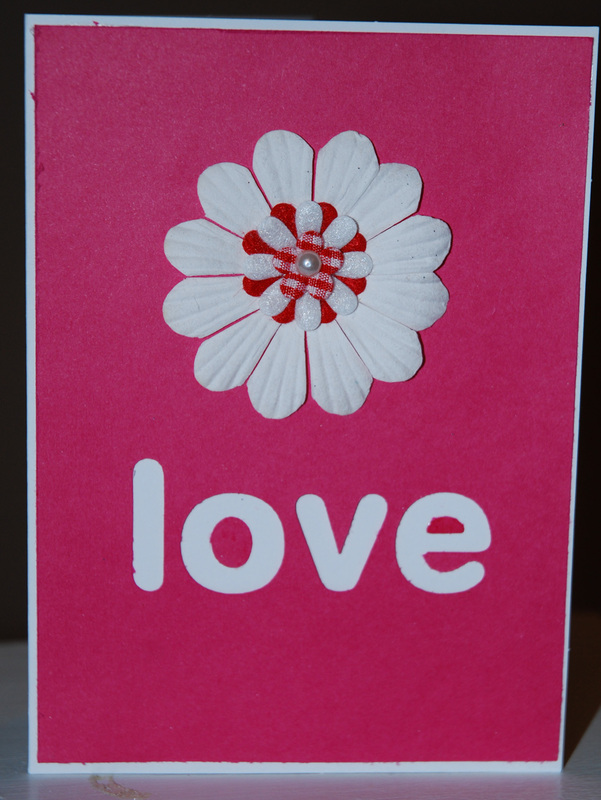 I downloaded Fairy Cut, and within 5 minutes I was cutting my first card, and posted it to my Valentine's Day Cards Blog Hop! The cards I am showing here are the cards I made one morning, from scratch to finish -- including learning the software -- in less than 4 hours. My honest opinion is that FAIRY CUT is the easiest-to-use, intuitive programs of all the Cricut cutting software available on the market today. I've used them all and prefer Fairy Cut. Fairy Cut is compatible with the Cricut Personal, Cricut Create, and Cricut Expression; it is not yet compatible with Cricut Imagine but (and here's a BIG plus for me), Fairy Cut has incorporated a Print and Cut feature, with and without crop marks, so you can easily use your regular printer and Cricut cutter without having to invest in a Cricut Imagine or its expensive cartridges! Fairy Cut's program is built on same "platform" as the software used with professional graphic programs like those that run Pazzles Inspiration and Bosscut Studio. It imports .wpc and .pdf images alike. And it has a "freehand" design feature, correction tools, and a library of images that make creating unique images EASILY a snap. REALLY!! Here's another plus: Fairy Cut's tutorial videos are some of the best out there. You can access them via http://www.fairycut.com/, or through YouTube (Search: Fairy Cut Software). On my blog here, I've posted on a separate page my favorite Fairy Cut video; you can find it by going to the top right corner of my blog where it says "Requested Tutorials". 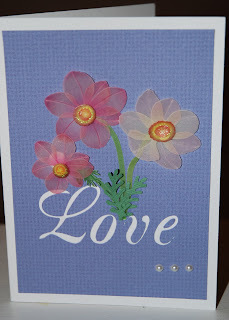 The second one down is the YouTube link to the video that shows how to make a card with lattice patterns. Truly very easy to follow. Another Fantabulous Asset: My NEXT favorite thing that Fairy Cut has done is provided a full PDF version of its training manual. You can download the manual by clicking the Fairy Cut logo at the top of this blogpost. It's 70 pages ... very detailed with lots of illustrations that are very easy to follow. It's a terrific reference tool to this VERY powerful program that allows the inner creative Goddess (or Fairy!) come out in each of us. And LASTLY ... I always save the best for last! ... Fairy Cut has given me one free software license (a $99 value) to give away to one of my loyal followers! 1. Submit a comment to this post, answering this question: What image would you most like to cut that you haven't found on a Cricut cartridge? 2. Be or become a follower to this CardMonkey blogsite. I plan on making my FairyCut cards a regular feature on Fridays -- "Fairy Cut Fridays" ... and I hope it will be interesting and intriguing to you. Come along with me while I uncover all of the possibilities in this great new software. One follower will be chosen at random by Fairy Cut, using Random.org, on Monday, January 31, so please leave your comment not later than Sunday 1/30 at midnight Eastern Standard Time. Winner will be announced here and contacted via e-mail to access your License Number and Access Code at Fairy Cut. THANK YOU to William Rodier at Fairy Cut for making this gift available to one of my followers, and for providing me my copy of the program so I could use and review it for you. Guillaume, j'adore ce logiciel! Is it compatable with Macs? Woohoooooo,I want a dragonand a wizard together but haven't got any of the carts that have either one. I would love to win one of these. Thanks Ellen for bringing this to us. It sounds wonderful. I can't wait to see your Fairy Cut Projects. Unfortunately, not compatible with MACs. Only for Windows XP, Vista and 7. Your cards are great. I wanted to try the Fairy Cut, as I have Sure Cuts A Lot. The price was what made me go with Sure Cuts A Lot. I hope one day to try Fairy Cut, hopefully the price will come down. I would love to make my own football emblems as I am a great Steelers fan. Dont see much for those kinds of designs. 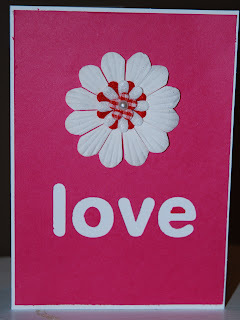 I am a devotee of CardMonkey and check out your blog twice a day. If I were to win FairyCut, I would use it to search for, design and cut more Jewish-themed images, because right now, there are only FOUR images on ALL of the Cricut cartridges. I would also like FairyCut to please make a version compatible with Mac. Thank you! 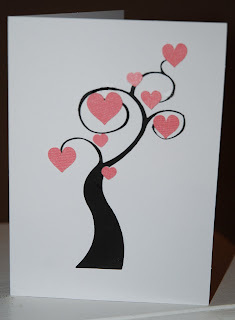 Cute cards...really like the heart tree. Great giveaway and would love to try. I would love to see more sports items; especially from the Packers. It would be great to have cuts especially with the Super Bowl coming up and be able to do it for our Super Bowl party. Oh how cool!!!! I love to have options!!! I would to cut things that are more personalized!! and that feature that it has to draw!!! OMG how cool!!!!! thanks for the opportunity!!! Wow I have not heard about any of these, of course I know just the bacis on my computer also, so if they are hard that explains why. LOL I'm have a hard enough time trying to get Design Studio going. White Tiger's and Wolves would be cool, I have boys into those and would love to scrapbook some pages with them. I can't imagine the possibilities! I would love to create more religious shapes...Empty tomb, Jesus teaching children, etc. I have the Inspired Heart cartridge and am so happy to have it, but the images are in frames and not as user friendly as stand alone images. Thanks for the chance to win this and your inspiration! Wow, beautiful cards. This is the first I've heard of this program and I'm intrigued. I have SCAL and really only used it a few times just because it took so long to make files I wanted. Would love to try out dog silhouettes like my shiba's and aussie. great cards! What an awesome giveaway! I would love to try this! I never wanted to get one of the other programs because they sound difficult to use. You made this sound really easy! 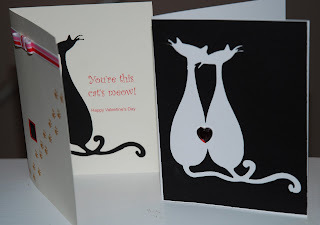 I would love to cut out cute kitty cats with my cricut - I love the cat silhouettes! Oh your cards are great. I would love to win this software. I have set myself a goal to use my cricut more in 2011. I am busy study all the cricut blogs I can find and yours is very inspiring. I'd probably first have to cut out that Valentine's Tree you have- LOVE it. :) After that, my husband would probably give me a constant list of PSU and Steelers images/sizes he'd need cut. I think I'd have to teach him to do his own. I have been a follower of yours for awhile...love your work! Cannot believe the snow at your house! Wow! I would LOVE to be able to cut college logos and slogans. My son graduated from Texas A&M University and I cannot find any decent die cuts! I would love the chance to win! Wow, Fairy Cuts sounds amazing. I would use it to cut things out for my church and Sunday school class. Dora the Explorer and Diego and Shrek....ooh the possibilities are endless. Thanks so much for a chance to win. I really enjoy following your blog. Fairy Cut sounds really interesting. I've never tried the other two brands, but if Fairy Cut is as good as you say it is.... well, it sounds like a good investment. There are all kinds of cuts that I think I would make. Right now I need a Musk Ox and in the feature I'll need all kinds of African Safari cuts. I just became a follower too, I am looking forward to your Fairy Cut Fridays. Wow, this sounds great. Would love to try it. I like SCAL, but don't use it as much as I could. Thanks for letting me know about this one. I dont have any of the programs.. I think the one thing I would like to cut out is celtic knots and the irish claddagh. I have the Sure Cuts A Lot so I'm excited to see this new software. I would love to see some whimsy shapes. Besides Tinkerbell I can't think of any other cricut cart that has whimsical shapes. I just found your blog while blog hopping and I am your newest follower! This program sounds amazing! I have wanted to create golf related items but have not had much luck finding exactly what I am looking for! Thanks for the chance! Wow great program. I hope to try it soon! I would LOVE LOVE LOVE to be able to cut images of Lego "figures" and Lego font! My step son is OBSESSED with legos and got sooo many for Christmas so I'd love to be able to add those elements to my pages!! 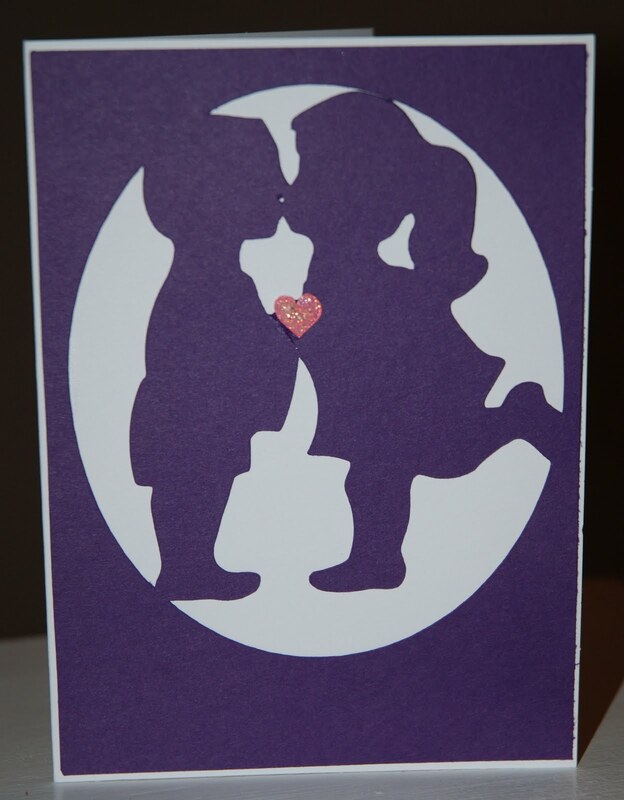 I am new to Cricut and I have the gypsy and MTC software. I would cut more animals besides the ones on the critter cartridge. They are cute but I would also like different types. Thanks for the chance to win. This is interesting... I'm a SCAL user, but would love to try out other things, too. I personally had the choice, I'd like see a lot more things in 3D, especially pop-up cards. I coach a Special Olympics team and would love to be able to create our Team Logo to use on signs, banners, cards, flyers, etc... I love my Cricut and Gypsy and have been trying to decide which software program to try... now you just helped make my decision! Faitha, print/cut IS a matter of practice but it can be done and I THINK that's a feature that is unique to Fairy Cut -- unavailable on MTC or SCAL? I don't use that feature much, but it is nice to have it when needed rather than having to "fussy cut" printed images. Good luck and most importantly, HAVE FUN! Thanks for your reply Ellen, I am using the demo to really get to know it, I hope to upgrade soon. :), but I am having fun with it.